You're one step closer to supporting school gardens that make a difference in children's lives. School Garden Network of Sonoma County is a 501(c)(3) tax-exempt organization. All donations are tax deductible and will directly support our programs and our organization's ability to reach the maximum number of students. Donations are the foundation of our organization. They provide unrestricted dollars to help us increase our capacity and grow our reach. Our past and future success is directly linked to the support of our local community, partnerships and donors like you. BECOME A SCHOOL GARDEN CHAMPION! SUPPORT A SCHOOL, PROGRAM, EVENT OR TEEN? The School Garden Network is grateful for the dedicated volunteers that offer their skills and time to help us accomplish our mission and expand our reach. If you're interested in joining one of our working committees, tabling for us at a local event, helping SGN at the National Heirloom Seed Expo, or if you have an interest in collaborating on an exciting project, please reach out to us! We are open to working with skilled and passionate people that share our goals and values. ​ Contact info@schoolgardens.org to inquire more. OTHER WAYS TO GIVE TO SGN! School Garden Network is proud to be a part of the 1% for the Planet network, which connects businesses and nonprofits to protect the planet. If you own a business, consider joining 1% for the Planet, naming School Garden Network as your beneficiary. Everyone wins! More info at onepercentfortheplanet.org. Everyday purchases add up by simply doing the things you already do. Click HERE to use the eScrip program and help leverage fundraising for SGN. Select SCHOOL GARDEN NETWORK FOUNDATION, E-SCRIP GROUP ID- 500824420. Support us and the work we do when you become a Sports Basement BASEMENTEER. You'll receive 10% off every item every day! ​​In return, the Sports Basement will donate 10% of their profits to select charities including us! 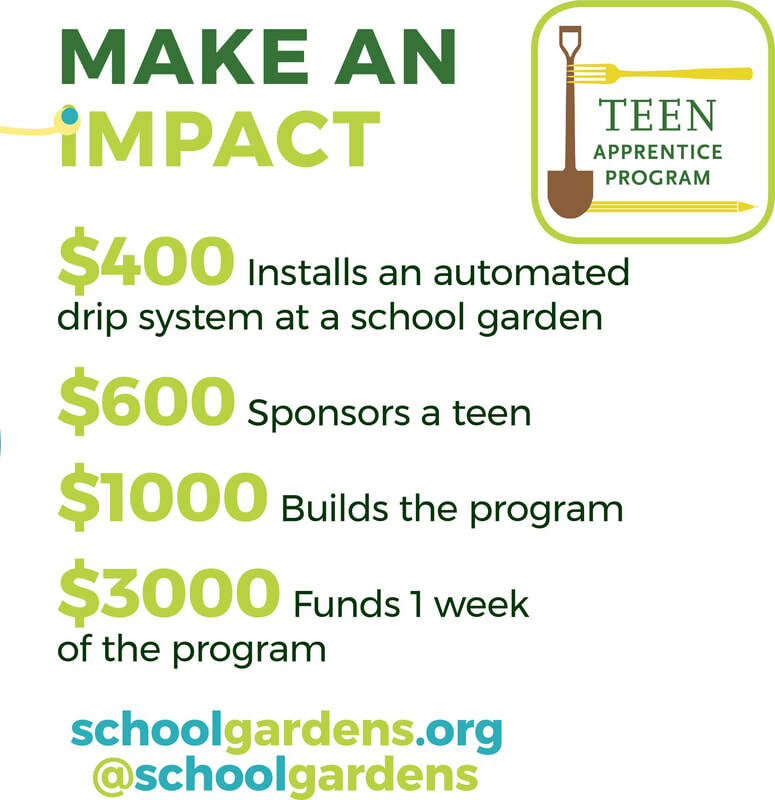 Be sure to select SCHOOL GARDEN NETWORK as your beneficiary when you sign up! You can do it in the store, or HERE. We greatly appreciate the support of all our donors and partners! ​community and partnerships with local organizations.